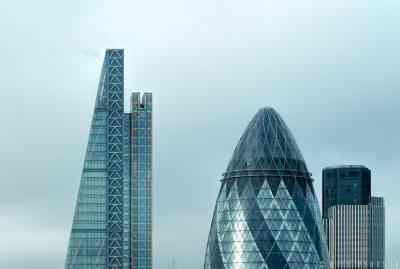 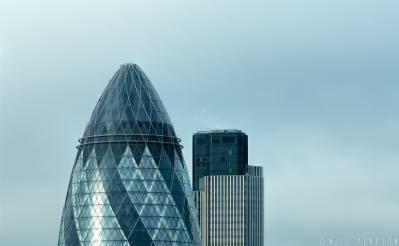 St. Paul’s Cathedral is visible in the distance beyond the sloping side of the Leadenhall Building, which attributed to its nickname ‘the Cheesegrater’. 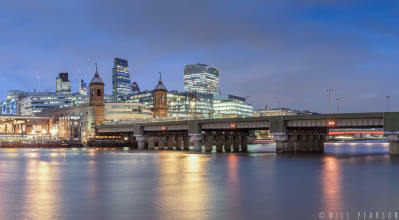 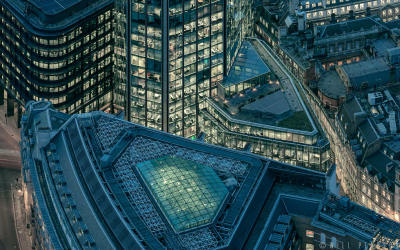 To the left are the Lloyd’s Building and the triple steps of the Willis Building. 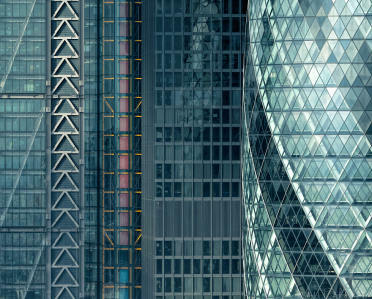 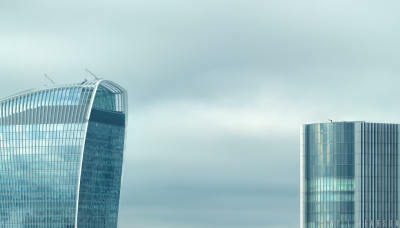 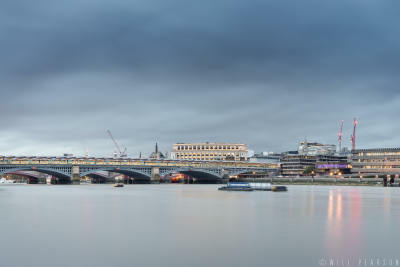 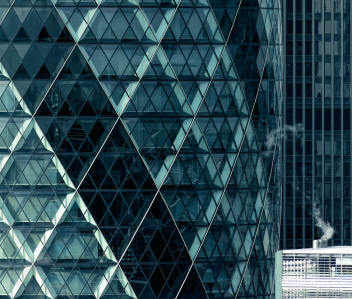 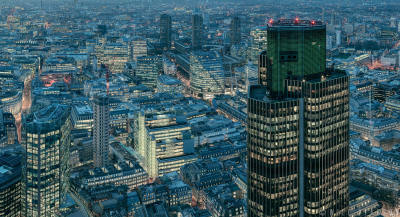 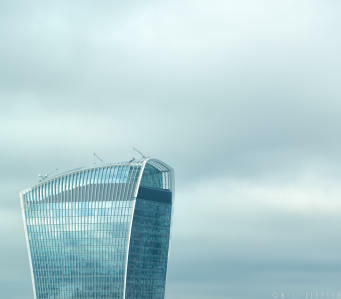 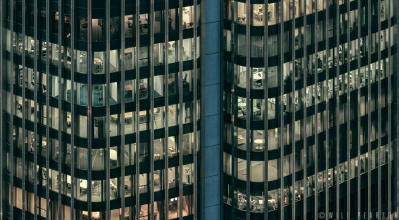 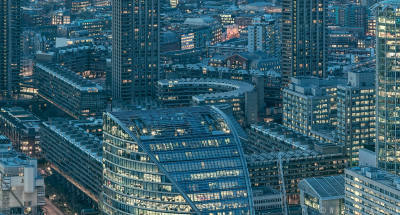 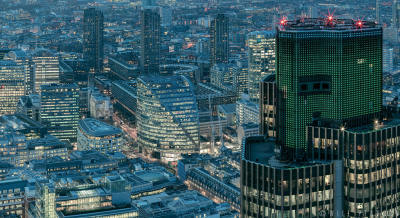 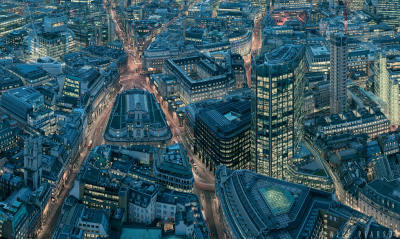 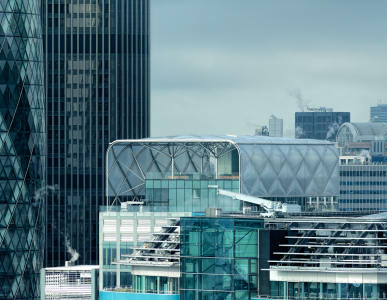 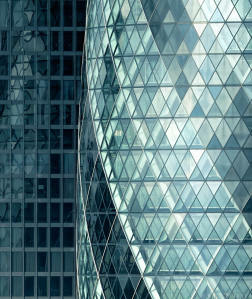 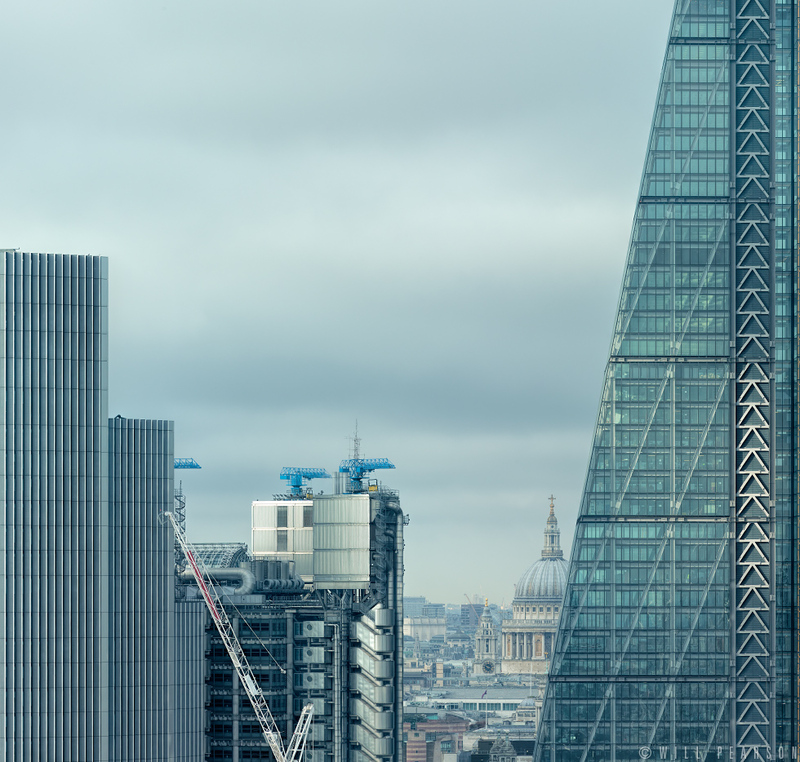 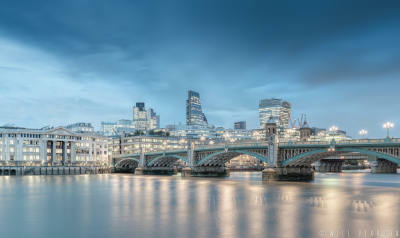 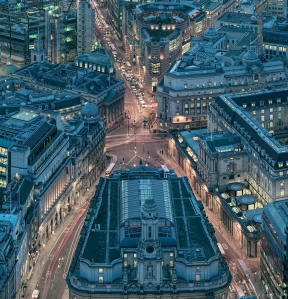 This crop is taken from the gigapixel image ‘Silvered City – London 2015’.